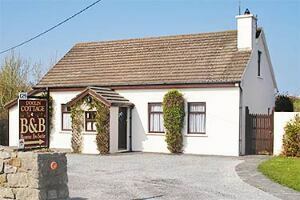 LANE LODGE Bed and Breakfast is situated in the heart of Doolin Village only 2 minutes walk from Gus O'Connor's Pub, famous for its Traditional Irish Music sessions. You will find shops, restaurants and Pubs and the other Village at walking distance. We are minutes from Doolin Pier where boats run to the Aran Islands and 10min drive to Cliffs of Moher and the Burren limestone area. 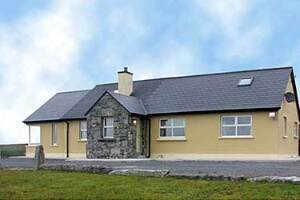 Ballyvoe House Doolin is situated 1 km north of the village of Doolin on the r479. Set in it's own grounds, Ballyvoe House has stunning views of the world famous Cliffs of Moher, the Aran Islands, the Atlantic Ocean and surrounding countryside. Ballyvoe House is the ideal base for touring the Burren region and exploring all the attractions in the area. Ballyvoe House does not accommodate babies, children or pets. 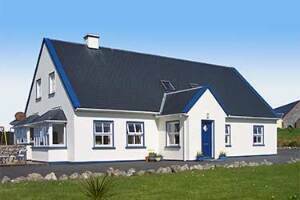 Glasha Meadows House is a family-run bed and breakfast located 3 minutes drive from the village of Doolin along the Wild Atlantic Way. It offers a great starting point for exploring the Burren region. The newly refurbished luxury Rooms offer views of the surrounding landscape. Doolin offers restaurants and pubs with live traditional Irish music. Cliffs of Moher 10 minutes drive away, also the stunning cliff walk hiking trail less than 10 minutes drive. 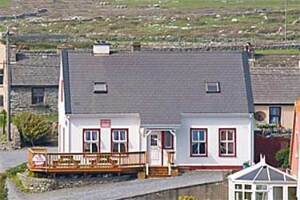 Aran island ferry's is 5 minutes drive. Horse riding and scenic walks around the surrounding countryside. Doolin Caves 2 minutes drive. Pitch and putt 5 minutes drive. Golf course in lahinch is 20 minutes drive. Offering a luxury four star Bed & Breakfast with free WiFi. located just outside Doolin. From our Bed & Breakfast you have a wonderful view of the bay. 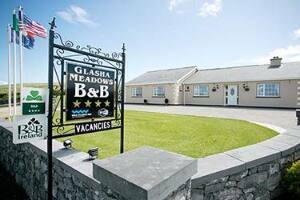 At Glasha Meadows we offer you peaceful accommodation and the comforts of our spacious bedrooms and bathrooms. We offer 6 spacious bedrooms En-suite Bathrooms, 2 doubles, 1 triple with 3 singles beds, 1 twin with 2 beds, 2 family rooms with 1 double and 2 singles. All our rooms are well heated and on the ground floor. 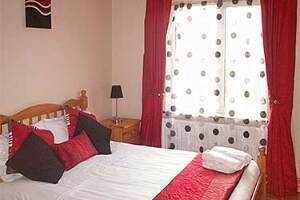 Rooms are equipped with tea & coffee making facilities and TV. We also have a lounge, where you can relax and read about the local area.Main attractions include: Doolin Caves, Cliffs of Moher, The Burren, The Aran Islands, Irish traditional music in the local pubs, Doolin pitch and putt course, close to beaches, Mountain View horse riding centre.